Good news for aspiring amateur photographers!! There is one more reason to avoid buying another, bulky, dated, piece of DSLR camera hardware. Avoid it like the plague!! 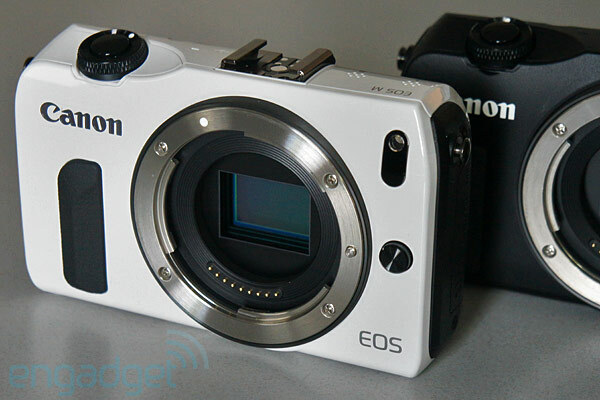 Even Canon fans can finally revel in the fact, Canon has finally announced its official Mirrorless, Interchangeable lens, consumer entry, the "EOS M": http://goo.gl/fsdlt Which features a sensor and specs nearly identical to their Rebel T4i, pro-sumer line. Even better, this is the state of the art, because it is both affordable, compact and easy. Such pieces of inspiring hardware are now supported by; 16 to 24+ mega pixels at up to 10 fps (frame per second) shooting; 1080p Highdef (HDTV) movies and 60fps (frames per second); APS-C size HD image sensor; Sweep Panorama mode; Auto HDR (High Dynamic Range); Live View and Tiltable 3.0" LCD Touch Screens; and of course E-mount 18-55mm full size lens and adapters for any old lens you may still wish to use. Put simply, the current state of the art in photography hardware, means you can have all the performance of those old, full size, DSLR designs, in about half the size and half the weight. It's now about capturing your memories in any quality and style format you wish and with complete ease. 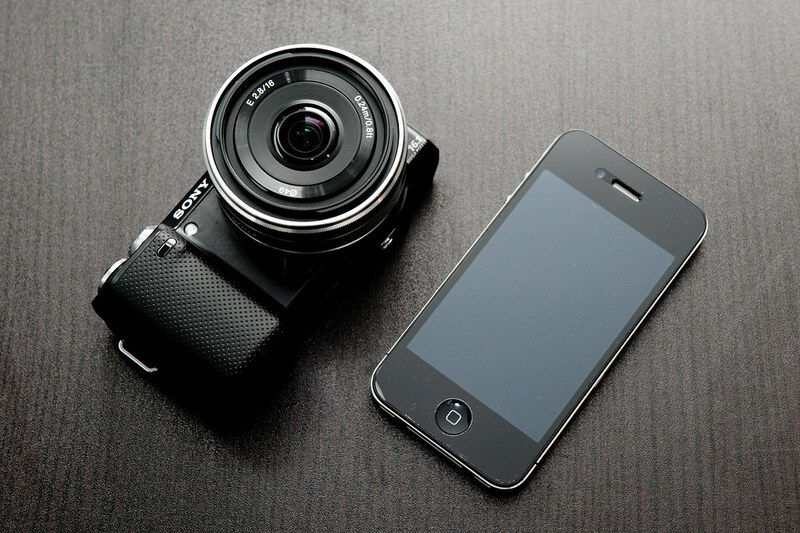 The best camera is not only the one you know how to fully utilize, it is also the one you have with you. And lugging around a full size DSLR through the formative years of your new baby's growth, visits to the parks, or just a stroll with grandma around the mall, is hardly practical. Not to mention the detriment it is packing for those fun overseas trips when your scared such bulky equipment will either stick out like a sore thumb for thieves, or be crushed while being slung between numerous trains and plane connections. Don't sell yourself short. And whatever you do; just don't let another person (or yourself,) be talked into grabbing yet another, dated, mirrored BULKY, DSLR, designed with countless, conventional film holdovers, in a day and age of fully digital sensors. 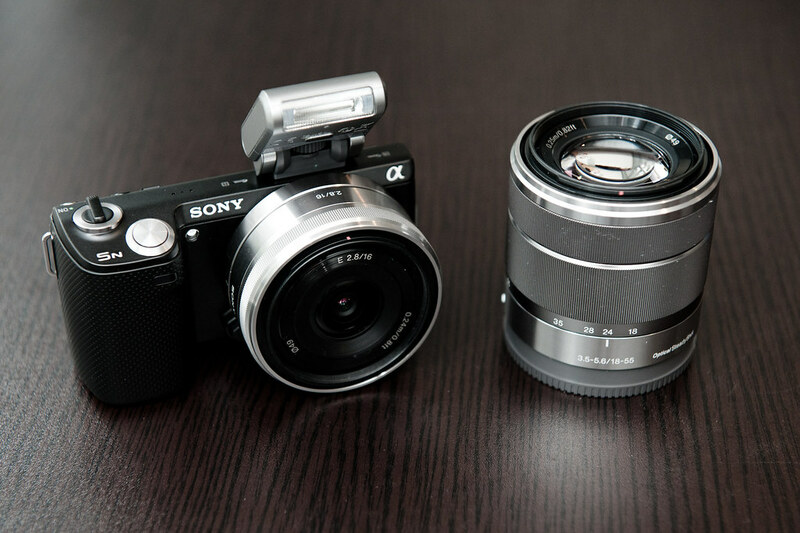 Mirrored, bulky, DSLRs are built the way they are because they are a bi-product or a bygone era! The large, "mirrored", DSLR style cameras are large, slow, mechanical, and complicated, due to the decades of research and development which no one wished to quickly abandon. Much of the current and past designs were simply associated with film, and certainly the need for a backplate area of the camera that use to sit between the two dispensing and receiving rolls of film. And managing the challenge presented to not only expose that momentary glimpse of light onto the film or retrofitted digital sensor; while also providing a method by which a preview of the framed shot was first and during each photo offered to the photographer behind the lens. The relentless and vested interest in bulky, DSLR, camera designs and all the dated, traditional nuances of approaching the more mechanical natures of handheld photography are fascinating. It must be assumed that many are rather emotional, but perhaps even more are financially encouraged; due to a personal collection of lens, batteries, etc.. But the financially vested interest in continuing to market and sales such swollen versions of technology to average consumers and amature photographers must be the predominant motivation for the few reluctant manufactures. Whether you take into considerations the manufacture's massive investments in patents or the millions in assembly lines and production tooling dedicated to the 1000's of specialized mechanism, optics, fittings and the multitudes of all the varied, numerous, supporting accessories and devices. It is obvious abandoning such dated methods of processing and previewing live photography has not been an easy risk for many of our major brands to swallow. Nevertheless, unless you are a press pass carrying, side line shooting, jungle crawling, professional portrait producing, wedding photography shooting guru! Stop the madness! No normal, occasional or daily shooter, with a travel bug, a new child, or a hankering for bird watching, air shows and nature hikes; should try to imagine that they will enjoy lugging, firing up, learning and using, with any amount of skill and efficiency, the girth and learning curve now associated with the dated designs of full size, pro-summer and/or professional DSLR style cameras. I can't believe I'm still seeing average consumers still making this mistake? I know the guys at Best Buys floor are of little to no help; but the internet is there 24/7. I'll put it to you this way. You bought a "Smartphone" so you can launch apps and text with ease; you no longer drive a stick, so you can sip your latte in peace; you enjoy having air conditioning because no one like to constantly sweat. There are certainly technology and conveniences, that you just shouldn't argue too much about, once you see the benefits and enjoyment they provide. Therefore, if capturing photos of superior quality, (meaning far better quality than a simple "one click" or that of your cell phone's provision,) are a passion and a priority for you; then combine that exciting goal with the same sensibility which has lead you to other streamlined, clever, affordable, useful advances in modern technology. FYI: A DSLR (digital single-lens reﬂ ex) camera employs a mechanical mirror system that directs the light travelling through the attached lens upwards at a 90 degree angle allowing the photographer to compose the shot through the viewﬁnder. As the shutter button is pressed the exposure takes place: the mirror swings out of the way and the shutter opens allowing the lens to project the light onto the image sensor.